As a newlywed and young mom, Toby Keough wanted home furnishings reflecting her love of color, art and vintage design. 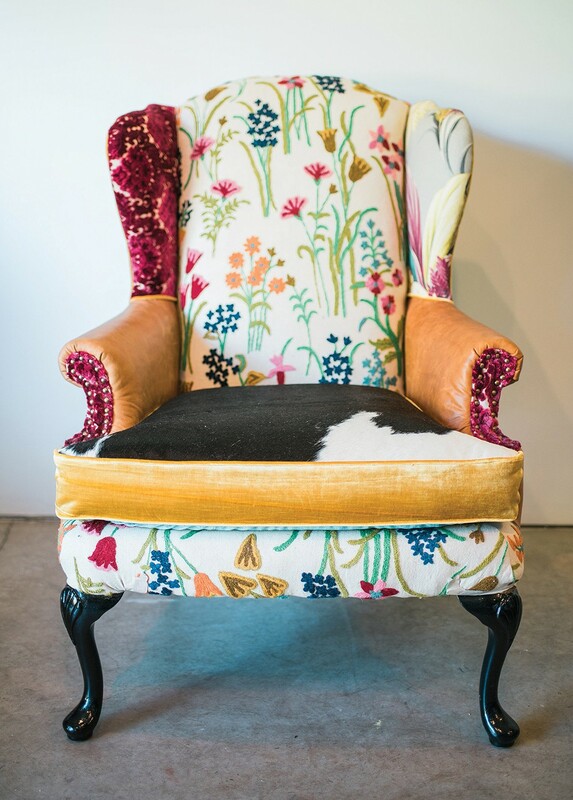 So she taught herself upholstery techniques and scoured local thrift shops for materials to make one-of-a-kind seating — couches, chaise lounges, ottomans, and her signature wingback chairs — which Keough soon realized were highly marketable. "I'm always trying to stay relevant but push myself," says Keough. Her goal is for each piece to stand on its own, enhancing a customer's existing décor or becoming a focal point on its own. She often pairs bold geometric or floral prints with more subtle ones, as well as adding unexpected accents like vintage bags stitched to the side of the chair for a convenient magazine holder. 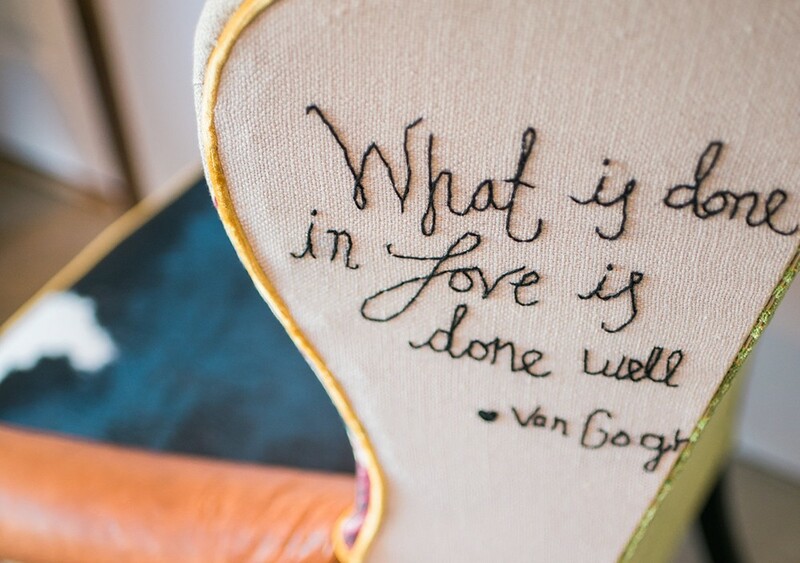 "I love functional art," says Keough, who has recently expanded her line to include pillows and doll chairs. Check out Toby Keough's work at Spokane's Lucky Vintage and Pretty Things, and at Boulevard Mercantile. The original print version of this article was headlined "Grab a Chair"